ich liebe ja diese zarten Pastell-Töne über alles. Ein wundervolles Moodboard. Such beautiful muted spring colors! I haven't seen any flowers, but the weather has been beautiful here. Definitely a welcome change. Gorgeous pics! Yes the snow has been melting and the sun has been shining just a little more. I can't wait until the grass is green again and not this drab brown from being buried under all this snow! Ich wünsche Dir noch einen wunderschönen und sonnigen Nachmittag und danke Dir nochmal ganz herzlich für Deine so lieben Worte! Du weißt ja, ich (und auch Du?!) liebe Pastell. Es tut mir einfach immer gut diese Farben zu sehen. Diesen Kamm finde ich wunderschön, er sieht so antik aus. Wunderschön, liebe Duni! Besonders schön finde ich die kleinen Fläschchen, was ist da drin? Parfum? I love the packaging from the apothecary. It is absolutely perfect! Great finds, as always. So lovely, such pretty colours! So glad spring is finally coming to your neck of the woods! Lovely moodboard Duni! Hooray for Spring flowers that pop up now. They are the heros of winter, I tell ya. I love color right now. Anything but the darks we have been wearing all winter. Ugh. Oh, that comb makes me swoon! Such beautiful pastels. What pretty pastels!! I love the floral hair comb. Such a beautiful collour and trerry flowers. I was so excited to see my crocus pop up this weekend! And my tulips aren't far behind! 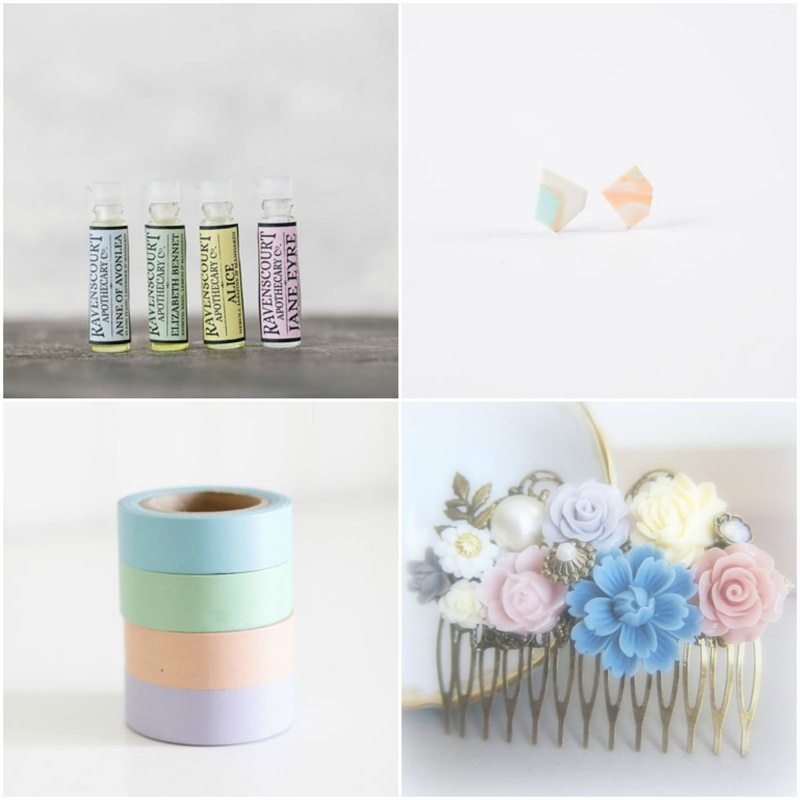 Anyway, your mood-board so pretty and sweet!!!! The comb looks so pretty and dainty! The fact that it's handmade, all the more it becomes so precious in my eyes.